This week we have Lydia Stein from WellOne here to offer some helpful, realistic advice on how to reach your New Year’s health goals. 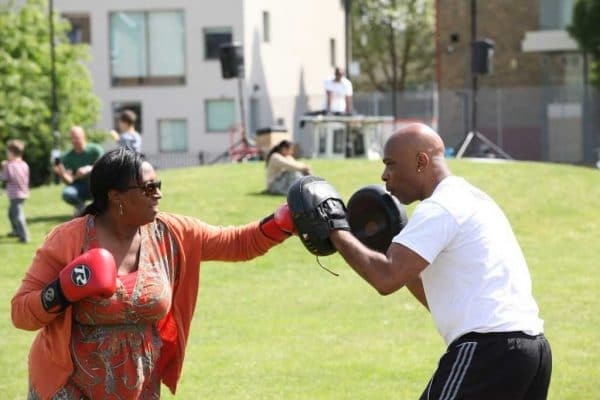 WellOne is an initiative in the Poplar and Bow area that aims to make health and wellbeing accessible and affordable for all. When it comes to fitness in 2018, the world truly is your oyster! It probably isn’t amiss to say that 2017 has been a rough year for a lot of us. From our own personal lives to a modern world that won’t seem to give us a break, it’s been tiring. You may have struggled with your health, be it mental or physical. You may be feeling anything from frazzled to exhausted, you may be suffering from medical conditions or just be a little run down. But, at some point, you’ve probably said – with or without a sarcastic tone – something along the lines of: ‘new year, new me’. There’s no beating around the bush – approximately 1 in 4 people in the UK will experience a mental health problem in a given year, and you may well be one of them. It comes with a rise in isolation in communities, not just in the elderly, and health inequality rising faster in London than anywhere else in the country. The January blues aren’t just a catchy phrase, and we live in such a pressured, fast paced society that it’s understandable if you feel like it’s hard to catch your breath or have time to think. But – and you may call us dreamers – we like to think that it’s not all doom and gloom. Whether you meant it or not, a new you isn’t out of reach. We want our 2018 to be a year of healthier living and more conscious decisions – and we want the same for you too. At this point, we couldn’t blame you for rolling your eyes. Sometimes it feels like all anyone ever talks about is fitness and calories, kale and protein shakes. The dreaded spin class. But why do we keep harping on about fitness and healthy eating? Because a healthy body forms the foundations for a healthy mind – and vice versa. A poor physical health condition can put you at risk of developing mental health problems like anxiety or depression, and those of us with mental health conditions are twice at risk of heart disease and four times more at risk of respiratory disease. Physically, exercise can help us to manage a healthy weight, reduce our risk of disease and physical health problems, boost our energy levels and help us catch more z’s. But there is also strong evidence to suggest that exercise can help with depression and anxiety. It can be a big boost to our self-esteem and improve our mood through the release of endorphins – the feel-good hormones. Many people agree that exercise helps reduce their stress, gives them time to think, and can allow them more clarity over their thoughts. For us, the social aspect of exercise is also central to improving wellbeing. Joining a sports team or fitness class can give you access to a support network, to people willing to listen and able to provide advice. We believe that if you want to make a change this year, it starts here, with your physical and mental wellbeing. It starts with shaking off those cobwebs, putting on a pair of trainers, and taking a step towards a healthier, happier you. So what are we doing about it? Well, we’re focussing on our WellOne project more than ever this year; our initiative to make Poplar and Bow healthier, fitter, and better connected. 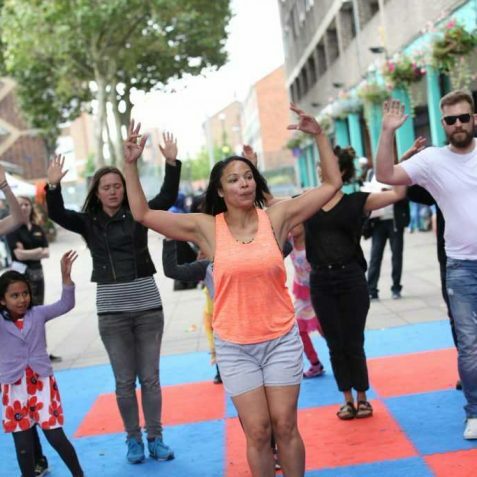 It starts with the website, a directory for fitness classes – and in the future to a place to find healthy eating and community activities too. But it ends with you, with you making the project into what you want to get out of it.